For some, yoga is experienced as just another “workout.” The effects are often overlooked as we simply show up on the mat, do our thing, and move on with our day. The impact yoga has on each person is certainly multifaceted and individual. But through deliberate reflection, even young yogis can notice changes within themselves as a result of doing middle school yoga. 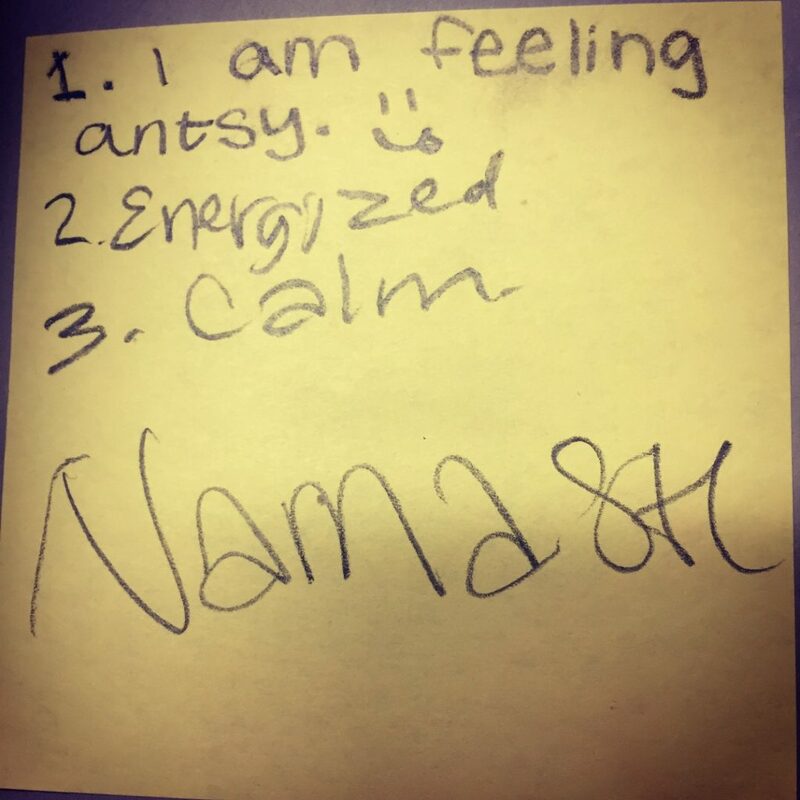 As part of our yoga class, our middle schoolers write down their state of mind when they arrive to class, after our opening relaxation, and at the end of class after Savasana. They gather these daily reflections in a folder for further contemplation in the last week of their 8-week session. As they walk into class they grab their mat and blocks, as well as a blank sticky note and pencil. They quickly jot down the date and a word that describes their current state of mind or emotions. They set the note and pencil aside while we do an opening relaxation and they then record their state of mind again — often times feeling a change after only 90 seconds of stillness. We enjoy a full yoga class. 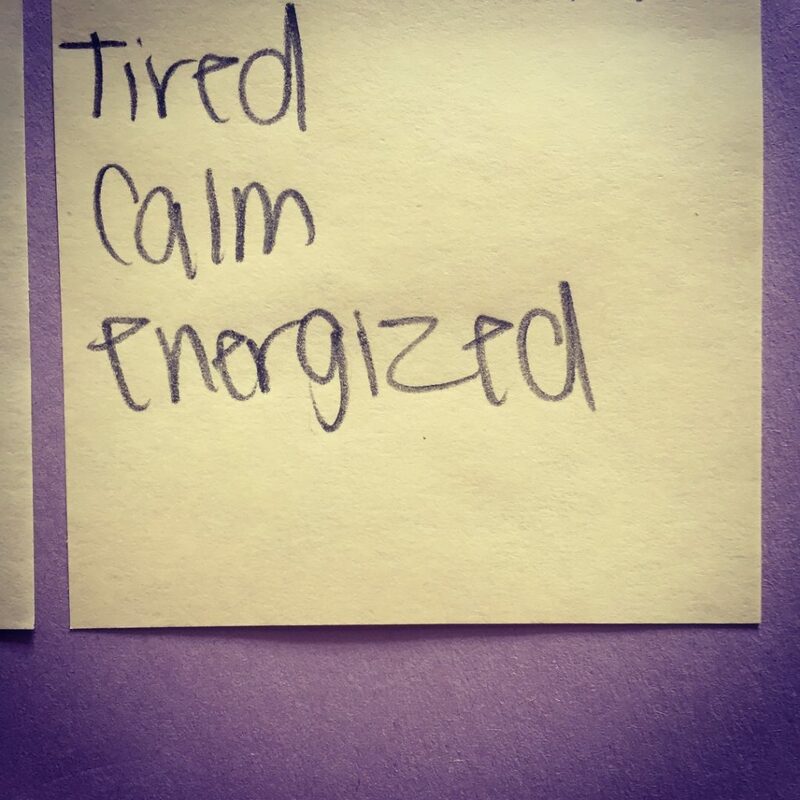 And then after Savasana they record their third word and put their sticky note into their folder, which is a large piece of construction paper folded in half. Their folders remain with me in between classes and the young yogis see them at the end of each class as they add their latest sticky note to it. Keeping the folders with me is not only less distracting for them during class, but it keeps our young yogis from looking back to their feelings from the previous weeks. This allows them to remain more focused on their current emotions and experiences, rather than being taken back to past feelings. At the end of the eight weeks our yogis will use their sticky note reflections to inspire a written or illustrated culminating expression of their experiences as yogis. I look forward to witnessing this full-circle process for them! This has been such a gift to me as their teacher to be able to see vivid results from their experiences of yoga – through this super simple tool and process. Author and Sing Song Yoga® Founder, Deb Weiss-Gelmi offers kids’ yoga teacher training and professional development for school teachers. Connect with her on FB, IG and Twitter. This entry was posted	on Monday, March 19th, 2018. Posted in Benefits of Yoga, Education, Yoga in Schools. 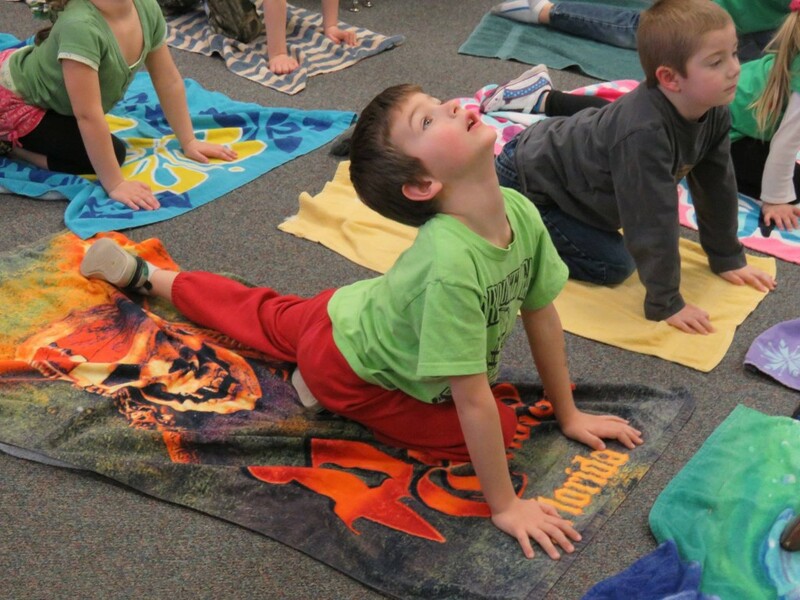 Always great to read about yoga for kids in schools and even more fun, personally, when it’s Sing Song Yoga! 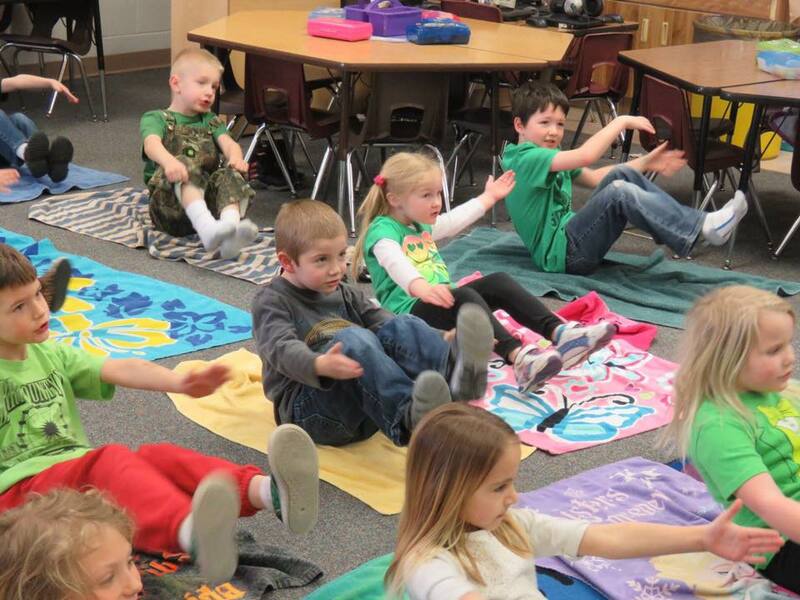 Thornapple Kellogg Schools recently published an article from which the below text was taken and can be read in its entirety as Kindergarten Students Find Calm in Yoga at TKschools.org. 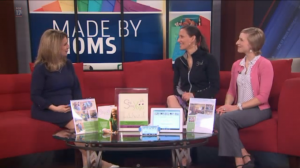 Thank you TK schools for using our program regularly and for sharing it with your readers! We so appreciate it! 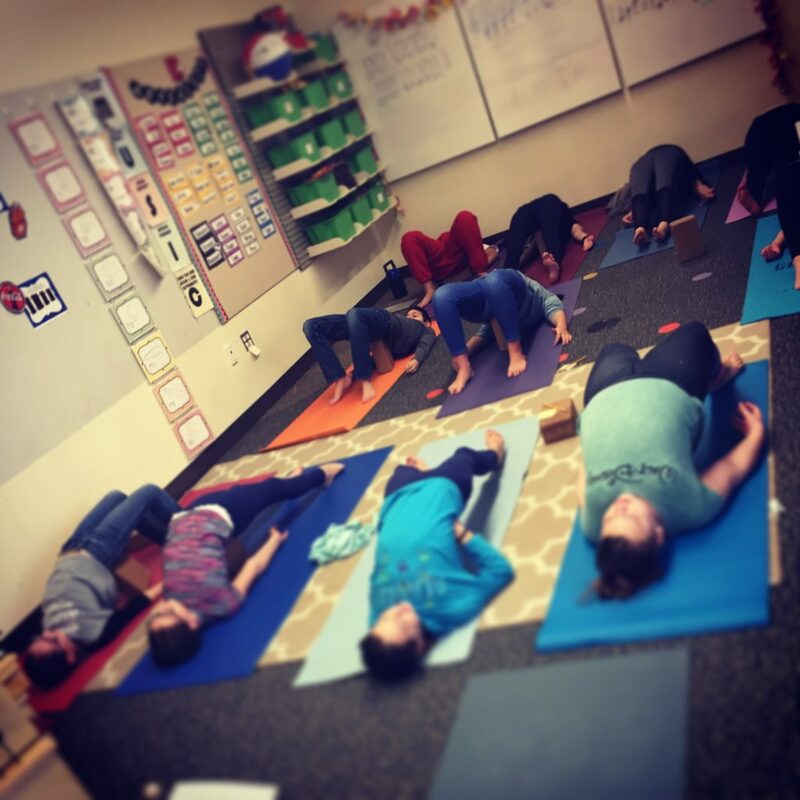 McFall Elementary kindergarten teachers have found yoga helps their students transition between lessons, take “brain breaks” and even find calm during a hectic day. “I love it. 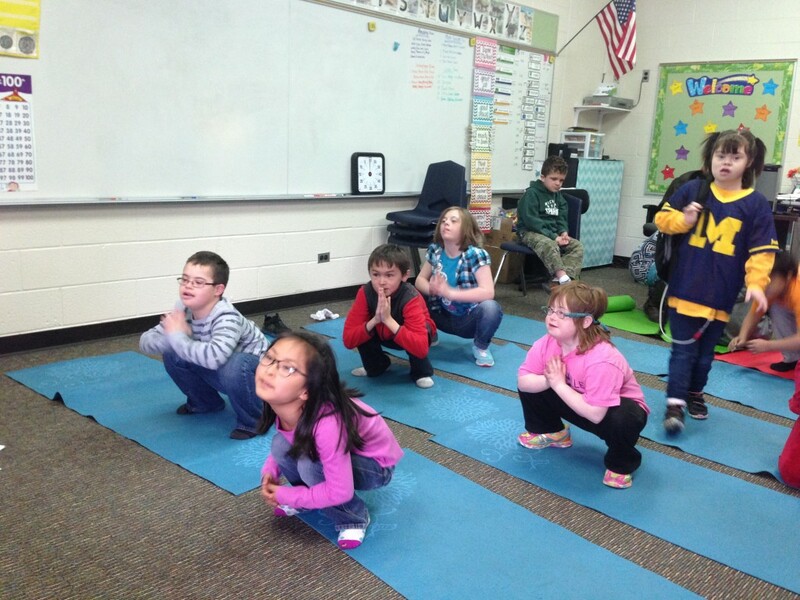 It makes me feel good,” said Aubree after about 15 minutes of yoga right in her classroom. 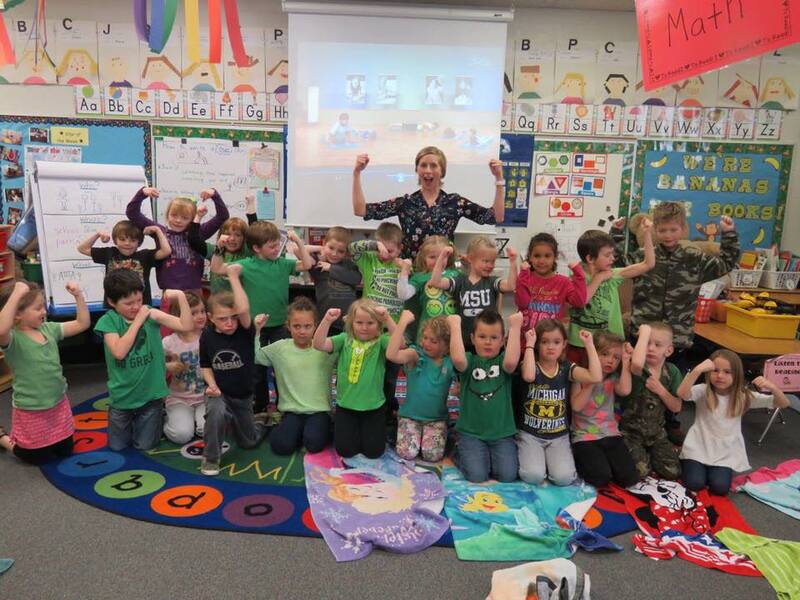 At least once or twice a week, McFall kindergarten teacher Jasmine Koster has her students practicing yoga in the classroom with a program called “Sing Song Yoga” developed especially for children. 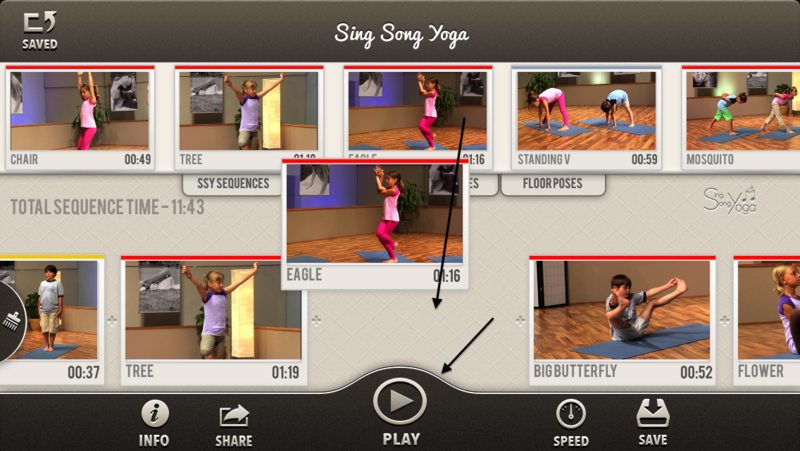 Students follow yoga pose instructions given in a sing-song version using music and rhythm. Koster said she’s thrilled to be able to combine her two passions – teaching kindergarten and doing yoga. She’s been teaching at McFall four years and been practicing yoga for about six years. 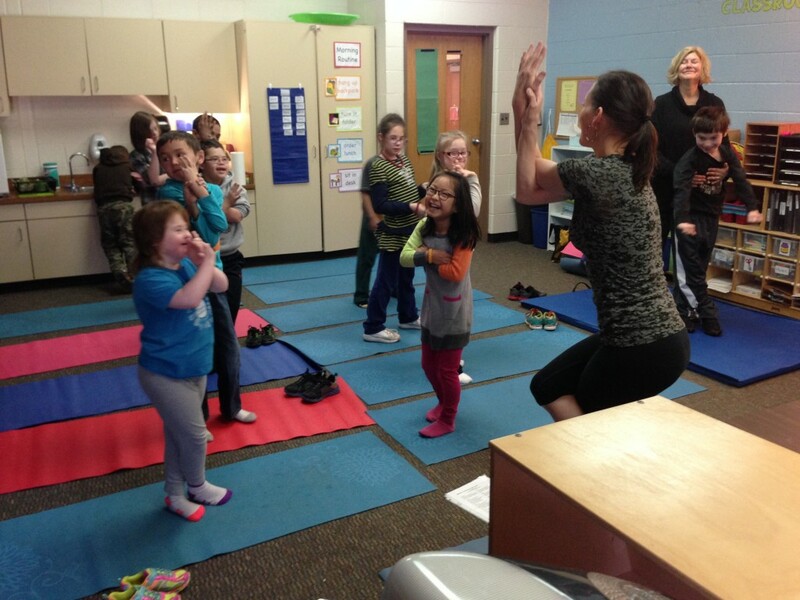 She started incorporating Sing Song Yoga in her classroom immediately. She said most of the other kindergarten teachers at McFall also use the program developed by Deb Weiss-Gelmi. 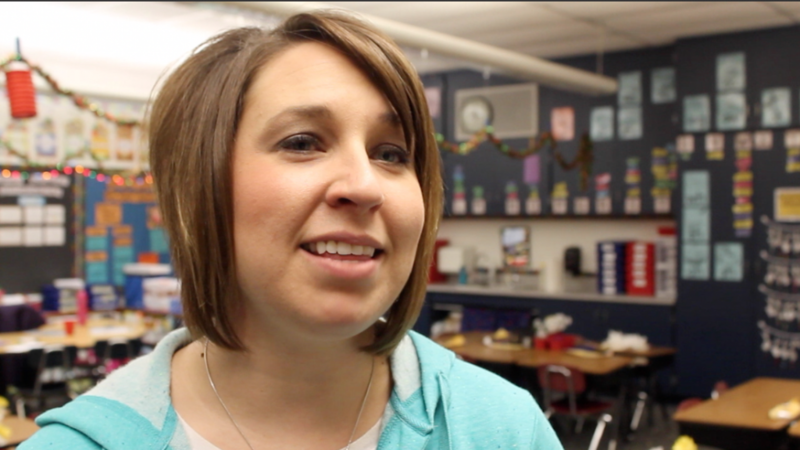 Koster said she sees many benefits to using yoga in the classroom. She said she also loves seeing how proud the students are of themselves when they master a new pose for the first time. “They are so excited and so proud. It just helps build their self-confidence, ” she said. “We’re not meant to sit still all day. So getting up and doing something physical is important. 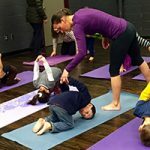 Yoga involves concentration, but it’s also very calming and a good way to get kids out of their seats for awhile,” she said. 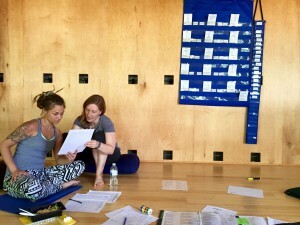 Weiss-Gelmi came up with Sing Song Yoga as a way of using music, movement and fun together to naturally help students physically and emotionally. 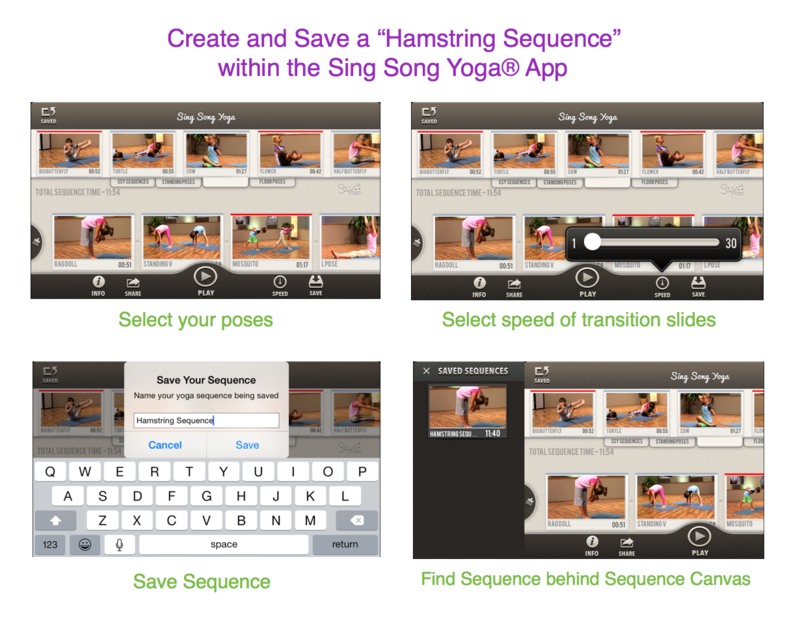 [The] Sing Song Yoga [app] offers the ability to create individualized yoga sequences or choose from one of the 39 preprogrammed sequences already in place. There are preprogrammed sequences designed specifically for brain breaks or test preps. 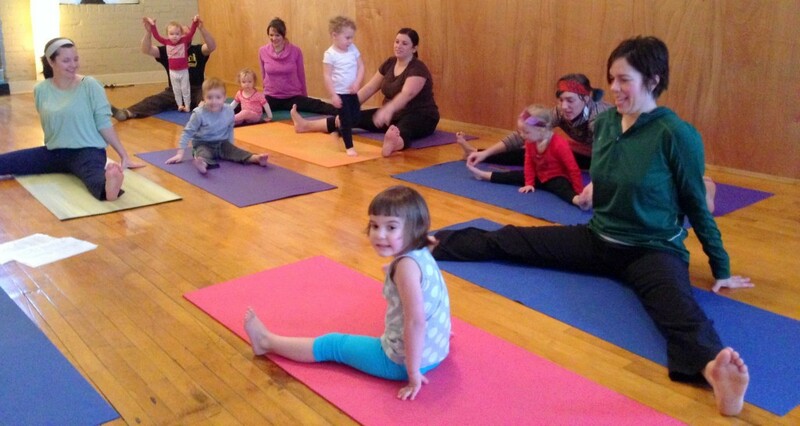 Koster said the beauty of the program is that anyone can do it and students may continue to find yoga a useful tool in their lives long after kindergarten. This entry was posted	on Tuesday, April 19th, 2016. Posted in Benefits of Yoga, Education, Sing Song Yoga, Yoga in Schools. 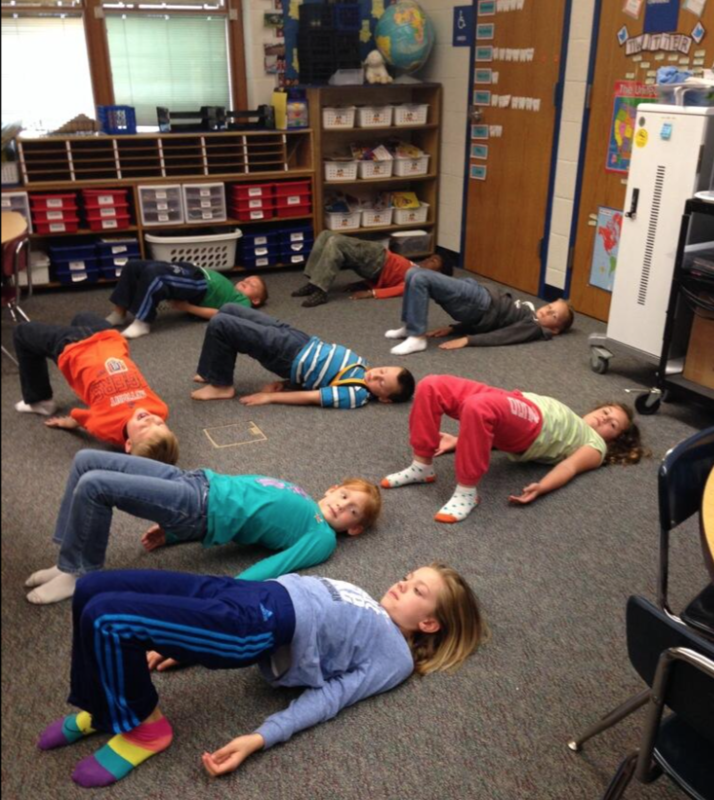 I recently had the honor of visiting this classroom in Michigan that has been using our kids’ yoga program every school day over the last few years. When I began the class, I quickly learned that these fabulous young yogis knew our songs and teaching cues better than I do. Mistakenly thinking I was the only yoga teacher in the room, I originally intended to shake things up a bit and add poses/songs that are not on the Sing Song Yoga DVD they use. However, their lead in the session kept us crisply on track of the classic session. My heart gratefully sang progressively louder as I gradually quieted my voice to allow for their voices and intentions to lead. The joys, the love and the excitement was refreshingly uncensored. My cheeks actually hurt a bit from smiling and laughing with my new young yoga teachers. The lovely, progressive classroom teacher appeared to be pleasantly surprised at the level of mastery some of the students demonstrated in recalling the important details of each pose as we moved through the class. 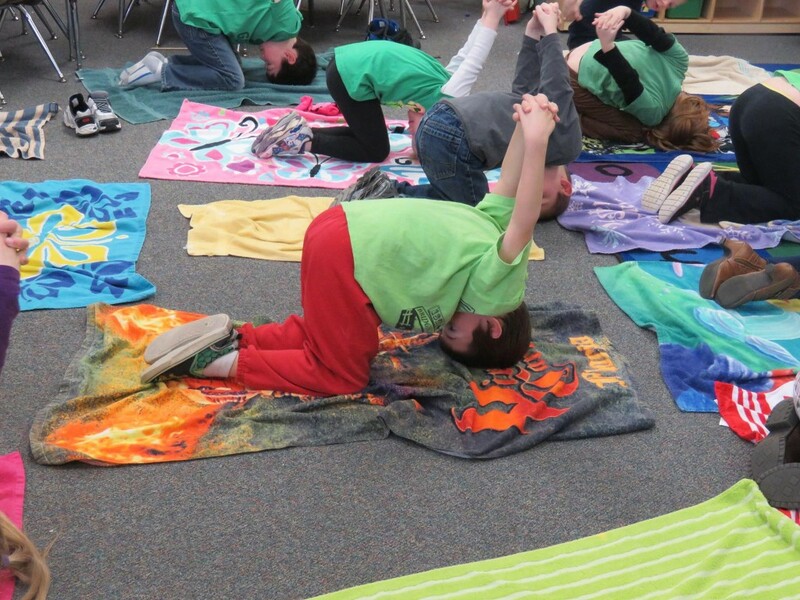 Yoga through music has a magic about it and these students are clearly the magicians! Thank you, thank you to these young yogis for being my teachers and to their classroom teacher for inviting me to experience this unbridled joy… with yoga in schools!! This entry was posted	on Thursday, June 11th, 2015. A dictionary meaning of the word myth is — “a widely held but false belief or idea.” Ultimately ideas are yoga myths or not, only in the eye of the beholder. But I’d like to challenge some common misunderstandings about kids yoga. 1. 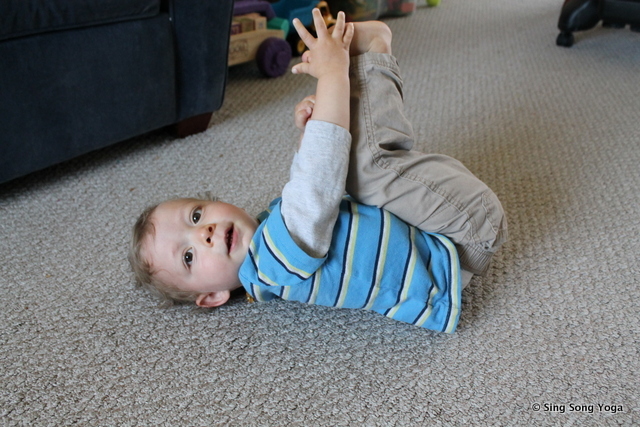 My kid is not flexible enough to do yoga. I hear from parents, about their children, and from adult students that they’re not flexible enough for yoga. This one is the misunderstanding that I run into the most often. Yes, over time many experience increased flexibility from doing yoga, but it’s not a prerequisite. Doing yoga poses has many benefits within the process, one of which is gaining increased flexibility. But as an example. 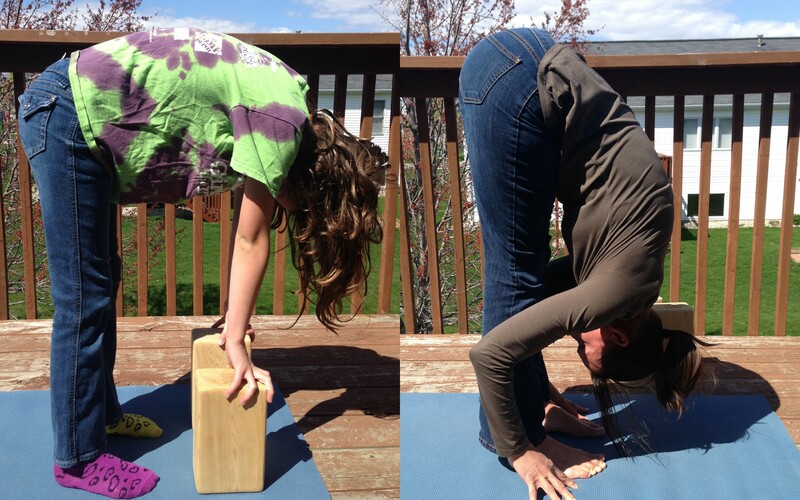 let’s compare two yogis doing a forward bend (Uttanasana). 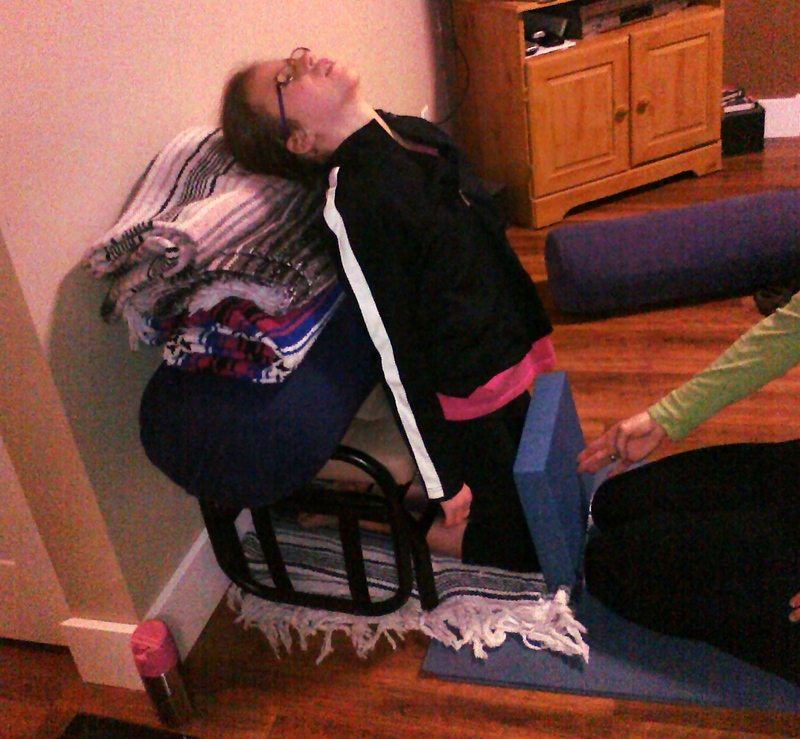 “Yogi A” uses blocks under her hands because she doesn’t touch the floor. And “Yogi B” folds forward more completely, turning her ribcage upside down with the crown of her head comfortably pointing toward the floor without strain. Each of these yogis experience similar benefits from the pose. It’s not as much about how far the yogi bends, it’s more about the alignment in the pose and the relative range of movement. For example, focusing on just one aspect of the pose, each yogi is stretching their hamstrings. The relative movement achieved with their personal full extension of their muscles provides the benefit – not the ultimate length that’s achieved. It’s likely that the beautiful photos of yogis bending in seemingly impossible ways contribute to this misunderstanding, however, just know that yoga works for all flexibility levels. That’s one of the benefits that fits everyone. Furthermore, the less flexible folks can actually be less prone to certain injuries because their bodies give them some natural limits that the more flexible yogis might need to discover on their own. There’s no need to be flexible to do yoga! 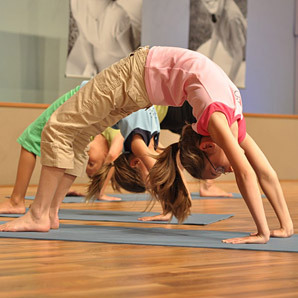 system that yoga can provide might be a good reason for some children to find yoga. Again it’s a relativity thing. Similar to the range of muscle movement (in number one) being the important factor providing benefit, it’s the relative range of the calming effect that provides the benefit. For example, a child who begins in a perceived hyperactive state and ends in a more typical active state might be achieving that same benefit as a typically active child ending a yoga session in a more perceived calm state. It’s the relative change that is the important factor, not the overall perception of where others want that child to be (or behave). The nervous system holds the imprint of the change even if those outside the child’s body can’t see it as clearly through behavior. 3. My child can’t focus enough to do yoga. We have a bit of a relativity theme going here, but it applies to focus as well. Some children can sit and build puzzles for a seemingly endless span of time and some can barely sit long enough to open the box to begin. The idea of “I am where I am” applies here. There’s no good or bad, there’s only the perception of such. And though it is true that yoga can eventually result in an improved ability to focus, it too is not a prerequisite. Some young yogis do a Downward Dog (Adho Mukha Svanasana) for 3 seconds and then need to get up and run around their mat before they are ready for another. This child still gains benefit from the 3 seconds in dog even if it might not look the same as the child who can remain in Dog for 30 seconds. Growth is measured by looking at a particular skill in the beginning and comparing it to the skill after a period of time. So if this young yogi moves from doing Downward Dog for 3 seconds at the beginning of a 10-week session up to 8 seconds at the end of this time, then growth in the pose and benefit for the child has been achieved. If you come across a yoga teacher who expects your child to do things the same as all other students in your class, it might be helpful to find a new teacher. Yoga should remain outside the tradition of trying to get children to conform to the same robot-like conformity that is still expected in some settings. Yoga is personal. Its benefits are illustrated in personal ways. Avoid comparing your child to others and enjoy comparing your child today to your child a year ago. Growth has occurred – whether it fits the norm or not (inside or outside of yoga). 4. 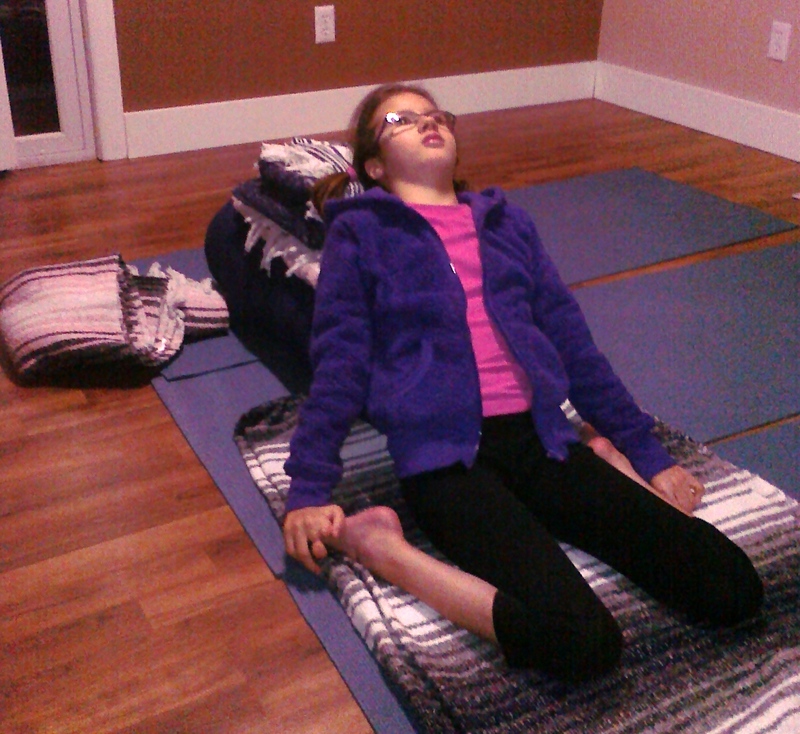 My child cannot do yoga because of physical limits. Whether your child is a fully able-bodied child or a child with some limits, the benefits of yoga can be experienced by most. One of my beloved young yogis who is limited physically was limitless in her determination to experience the joys and benefits of yoga as she achieved each. We together found one or more aspects of each pose that would be perfect for her to work on in that particular session. For example, when working on the sitting forward bend (Paschimottanasana), one session we focused our attention on lengthening her calves, in the opposite direction of her high tone, extending through her inner heels and pulling her toes toward her shins. In another session we would focus on pressing her thighs into the floor. In yet another session we would work on lengthening from her hips up through her chest taking her shoulders away from her ears. This is similar to focus changes in fully able-bodied adults from session to session, but we broke it down in a child-friendly way for her to experience results. Though yoga is growing in popularity in the States, there can sometimes still be a perception that athletes are not the “yoga type.” Again, the opposite can be true. Athletes in many different sports have enjoyed the multitude of benefits from yoga due to the simple fact that yoga can provide a positive soothing balance for the sometimes overused muscles and emotional energy that the stream-lined goal focus within each sport can invoke. In addition, the breadth of focus in yoga, meaning the broad range of positive effects on the body, might assist the athlete in preventing injury. Again, there still exists this idea that a person is either the “yoga type” or not but it’s simply not true. Virtually everyone can benefit from some time to deliberately chill while focusing on ones’ body in space. Each child or adult experiences yoga in his or her own personal way. There’s no “type” of person more likely to find benefit. The only aspect necessary is the willingness to give it a shot. And the only necessity to continue is the desire to do so. 7. Yoga is not for boys or men. This is slowly changing but still remains an underlying belief for many. Yoga classes typically have more women than men, but as men continue to discover the benefits of yoga and these next generations begin yoga as kids, this will eventually fade out. As with most biases, children learn these from adults. Boys, themselves, come into this world as natural yogis. But a myriad of societal influences can eventually persuade boys that there are some things that boys just do not do. This yoga myth will eventually fade and your family can be a part of this change. Boys can benefit greatly from yoga as mentioned in the characteristics outlined in the other myths in this post. 8. As a parent, I should know yoga before introducing my child to it. As outlined in 6 Tips to Dive Right into Kids Yoga, there is simply no experience necessary to begin yoga – as an adult or as a child. Every single person is a beginner when starting something new. Your yoga instructor (a live person or through a book) will guide you through beginning yoga. So just dive right in! This entry was posted	on Thursday, April 30th, 2015. Posted in Benefits of Yoga, Education, Kids Yoga at Home, Parenting, Sing Song Yoga, Yoga in Schools. Do you ever wonder why small children seem to lack coordination and tend to perform tasks slowly and somewhat clumsily? This is due to the fact that they are in the process of building neural networks – “roads” – in the brain. You have likely heard of the terms cross-lateral movements or crossing the midline. The midlines are invisible lines dividing the body in half. When a leg or an arm from one half of the body crosses over to the other half of the body this is crossing the midline. This helps the brain communicate in greater depth by connecting both halves of the brain via the network of fibers, called the corpus callosum. This integration of the two sides of the brain determines the speed, flexibility, adaptability and depth of the brain’s thinking. When children are allowed to play freely over the years of childhood, they naturally cross these midlines just by being kids and playing in limitless ways. Sometimes, however, children will show up to school without having had many of the necessary experiences for this to have occurred with the necessary repetition. When the midlines aren’t fully developed, cross-lateral movements might feel unnatural to a child. Educational researchers, educators, occupational and physical therapists have come up with activities to attempt to make up for lost time, so to speak. By getting children to move in specific ways within deliberate activities it can make midline crossing a regular occurrence to help achieve the repetition necessary to help build these roads in the brain. 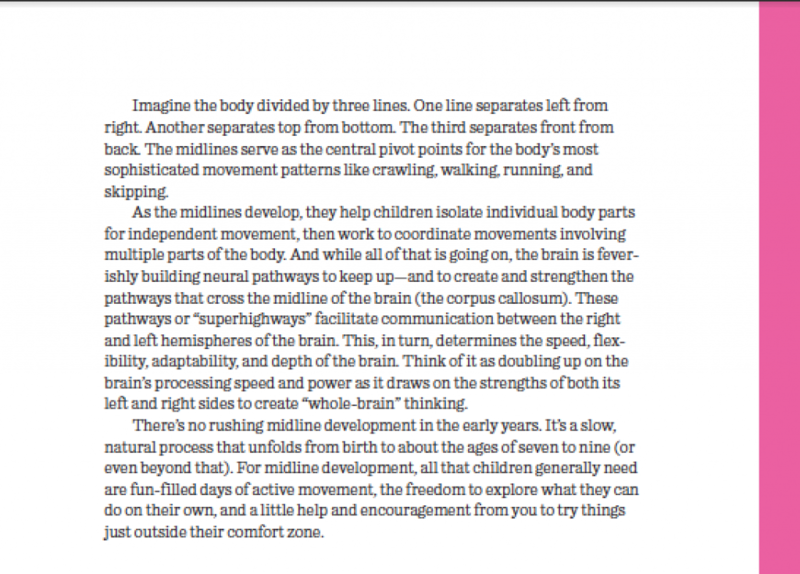 The handout below says “Think of it as doubling up on the brain’s processing speed and power as it draws on the strengths of both the left and right sides to create ‘whole-brain’ thinking.” Authors of A Moving Child is a Learning Child say that crossing the midline not only streamlines movement, it supersizes those superhighways across the corpus callosum. As such it plays a critical role in preparing children’s brains for formal learning. 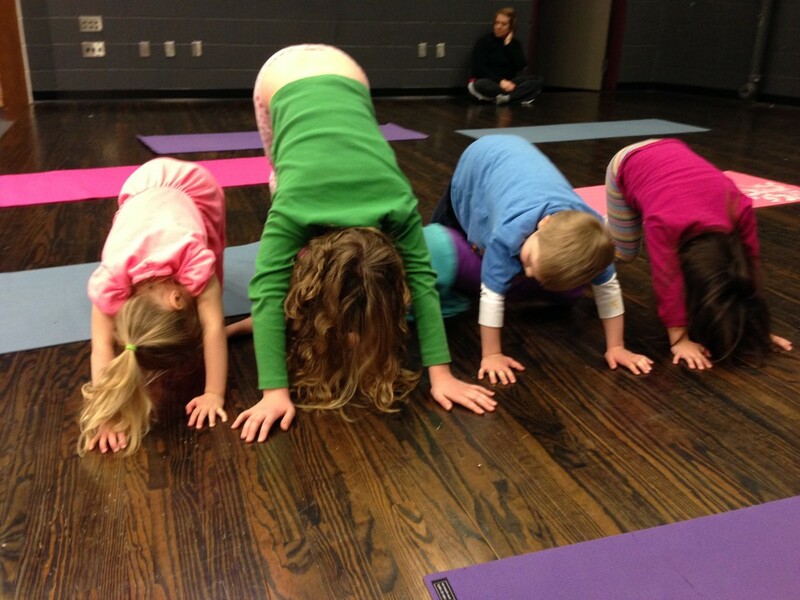 Kids’ yoga is one of the many activites that can provide cross-lateral experiences for children. And if done regularly, along with other rhythm and movement activities, it might assist in building the brain for optimal development. The handout below explains midlines in a new way for me. Prior to this learning I only divided the body in two halves, the left and right. But this author divides the body in two additional directions: the top and bottom and the front and back, thus making it midlines – plural. This opens the doorway to many more physical movements meeting the requirements of cross-lateral movements and is worth exploring further. I always love learning new things! For some occupational therapy activities for crossing the midline see OT Mom Learning Activities. 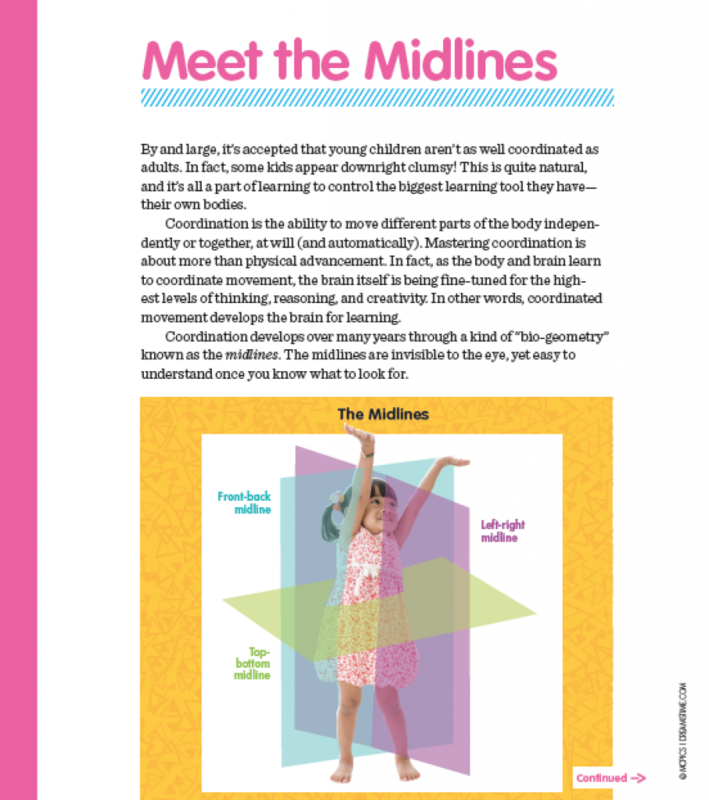 Thank you to Free Spirit Publishing and authors of A Moving Child is a Learning Child, Gill Connell and Cheryl McCarthy, for allowing me to share this handout through Learners’ Edge. Kids Yoga App – Create Your Own Balancing Sequence Effortlessly create a balancing sequence with a few taps of this kids yoga iOS app. This entry was posted	on Monday, March 30th, 2015. Posted in Benefits of Yoga, Education, Parenting, Yoga in Schools.